Order in the next 11 hours 20 minutes and your package will ship on Monday, April 22. 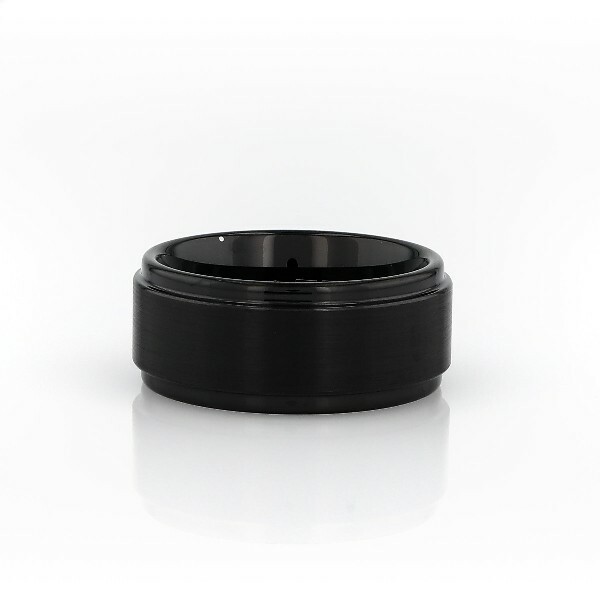 Contemporary in style, this men's wedding ring is crafted in durable black tungsten carbide. The design features a brushed finish and polished edges for contrast.